The report entitled ‘Resolving the current inefficiencies in the global regulation of Halal Food’ published in April, said that the global halal food market is estimated at over US$800 billion in 2015 and is demonstrating a clear demand for a well-regulated industry that is seeing increasing participation from the mainstream food companies and a high dependence of OIC (Organisation of Islamic Cooperation) countries on meat and live animal imports from non-OIC countries. The report was recently published by Salaam Gateway, a business intelligence platform which is a joint effort between the Dubai Islamic Economy Development Centre and intelligence and research agency Thomson Reuters. The Halal standard and certification is important for Brunei, which is leveraging on its government-backed certification to give value to local exports. According to the report, globally, these regulatory gaps can result in lack of consumer confidence in Halal products. The report identifies several regulatory gaps currently faced by the Halal food industry worldwide. The first is the lack of effective leadership. According to the report, there is a limited consensus among Muslim countries about which body effectively oversees the regulation of the Halal Food Industry. The report outlined that the Standards and Metrology Institute for Islamic Countries has been making efforts in that direction, it only currently has 32 signatories out of 57 OIC countries (Brunei is not a signatory). “With limited consensus, the extent to which changes in the industry can be applied effectively is similarly limited and significantly delayed, exacerbating quality issues and negative perceptions among consumers, and restricting broader participation by food companies,” said the report. In line with this issue, the other problem facing Halal regulatory standards globally is that there is no one unified standard. “There is significant variance between the DSM (Department of Standards Malaysia) standards applied in Malaysia and the ESMA (Emirates Authority for Standardization and Metrology) which is applied in the UAE. “The cost of gaining multiple certifications to satisfy the needs of different markets adds complexity and could prohibit entry, resulting in unmet demand for Halal Food among Muslim consumers,” said the report. The report also noted the slow and limited uptake of Halal accreditation programmes, the process in which a third neutral party validates the certification process. Compounding that problem, Halal accreditation bodies have yet to sign specific mutual recognition agreements for Halal certification and that there is no forum or framework currently to ensure peer review. The report noted that Halal Accreditors are operating independently of each other and often times, there is limited clarity on the jurisdiction of accreditors. It noted that there are two different accreditation bodies that have oversight in the UAE, which can lead to confusion among certifiers as to which to apply to. The report also said that with stringent requirements and high cost of accreditation, it is simply much easier to obtain ‘recognition’ by leading certifiers, such as Malaysia’s JAKIM. This leads to an underlying issue of certifiers using their own standards and are not held accountable, undermining their own credibility as well as consumer confidence in Halal-certified products. One ongoing challenge, the report cited, is that the industry currently does not understand the difference between recognition by a certification body and accreditation, which had led to confusion. There is also an issue with standards. “Many standards bodies, in particular in Muslim countries, do not apply internationally-accepted standards for domestic Halal companies, effectively establishing their own requirements,” said the report. 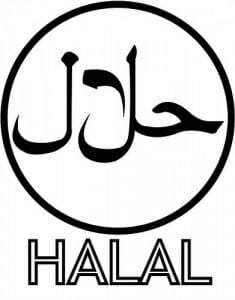 “Companies seeking to enter the Halal market have the added burden of establishing which bodies are correctly following international standards. “This can be an especially daunting task for mainstream players who are unfamiliar with Halal, and can accordingly inhibit market entry, which ultimately harms the consumer,” it added. The report outlined that the Halal regulatory environment in the global arena need to start working with each other.